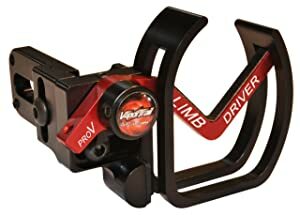 6 Best Arrow Rest Reviews 2019 - Drop Away vs Whisker Biscuit? When it comes to customizing your crossbow, you want to make sure that every accessory that you get will improve some aspect of your bow. When you’re considering accuracy, you don’t often think about where the arrow is on your bow. You might think that a scope will be the best tool for the job, but that just isn’t true. What you really should be looking at is the arrow rest. An arrow rest is where the arrow will sit while you’re lying on the shot. It will help make sure that your shots are more accurate and that your arrow doesn’t wobble and veer off in a direction that you don’t want. Just like with any accessory, you’ll have many options when it comes to the kind of arrow rest that you can find and the one that will be the most useful to you. We’ll be going through the qualities that you should look for in an arrow rest as well. We’ll even include our top six best arrow rests to help you get started on this journey of figuring out exactly what you need. 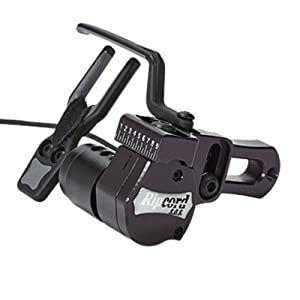 1 What Type of Arrow Rest is the Best? What Type of Arrow Rest is the Best? There are many types of arrow rests out there and each of them do something different. What kind of arrow rest you need will depend almost entirely on what you want to do. There are arrow rests that are better for shooting targets and ones that are better for hunting. We’ll go through some of the basic types so that you have a general idea of what you need. The specific kind of arrow rest that you need will depend on your use for your bow, so keep that in mind when you are looking at these different kinds of arrow rests. 1. Drop Away Arrow Rests – These are a very popular kind of arrow rest. They are well known for the least interference with the arrow, but they are also known for their steep learning curve. If you have never used one of these before, it’ll take some time before you’re used to them. There are even different types of designs for these. While, in general, these arrow rests are not great for hunting because they make a lot of noise, there are certain models that are designed to make less noise. These are definitely a good choice for most compound bows. 2. 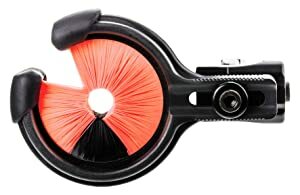 Total Capture Arrow Rests – Total capture arrow rests are a ring of strands that hold your arrow in place. These might look a little funny, but they are a very quiet arrow rest. They do touch your arrow a lot more than another arrow rest might, so this can make them a less attractive option. These are fit for compound bows, but not recurve bows. 3. Prong-Style Arrow Rests – These arrow rests will seem a little bit odd to a hunter, but that’s because they’re not intended for those kinds of archers. Prong arrow rests touch the arrow the least and are adjustable enough to help make sure that you’re hitting dead center every time. These arrow rests are typically only available for compound bows. 4. Butterfly (Magnetic) Arrow Rests – These are an arrow rest that is made specifically for recurve bows. Most butterfly arrow rests are magnetic and are easily repositioned. Because they are small, they tend to be cheaper as well. If you’ve got a recurve bow, then this will likely be all you need to get the most out of your bow. 5. Shelf Arrow Rests – Shelf arrow rests are common among recurve bows. Most bows already have something like this in place. They just hold the arrow a little bit to ensure that it’s pointed straight. These are extremely cheap and easy to install on your bow. There are many criteria to look at for an arrow rest. Some of these will matter more or less depending on your intended purpose, but we’ll run over some of the details so that you know what you’re looking for. 1. Price – This is probably a criterion that is high on everyone’s lists. It’s hard not to be concerned with how much the arrow rest will cost you. While there are some really nice arrow rests out there, you might not be able to spend that much on an arrow rest. 2. Interference with Arrow – A lot of people don’t want an arrow rest that interferes with their arrow. Total capture arrow rests are known in particular are known for their interference with the arrow. They touch the arrow more than any other type of arrow rest. If you’re looking to do archery and hitting targets, the rests that touch your arrow the least are the best. So how you look at this criteria will depend on what you need out of your arrow rest. 3. Ease of Use – Some types of arrow rests are harder to adjust to than others. If you are getting an arrow rest for someone that hasn’t used an arrow rest before, then how difficult it is to use can be a major factor. For others, this just means that you have to spend some time practicing with your bow and the new arrow rest. When it comes to finding a drop away rest, there are a lot of different styles that you can pull from. This Ripcord is one of the common designs that you can find. The arrow rest is connected to your drawstring so that it will drop away when you have completely drawn the bowstring. This makes sure that your arrow is unobstructed when you are getting ready to fire it. One of the major disadvantages of this arrow rest is that it costs a little bit more than other arrow rests out there. However, these arrow rests are designed to not interfere with your arrow when you’re firing. The other disadvantage is that these kinds of arrow rests make a little bit of noise. This means that you might not want to use this arrow rest when you’re needing to be as quiet as possible. However, despite some of the problems, this arrow rest will help make sure that your shots are accurate every single time. This is a total capture arrow rest. They are also commonly known as whisker biscuits. This arrow rest is perfect for those that need a quiet arrow rest. That is the main draw of this arrow rest. However, I will warn you that this arrow rest touches the arrow the most out of all of the other arrow rests that are on this list. This may be a turn off for many that are trying to find an arrow rest. One of the best qualities of this arrow rest is its price. While it isn’t the cheapest arrow rest out there, it is a much more reasonable price when compared to more expensive drop away versions. This kind of arrow rest is also easy to find because there are so many people that want this kind of arrow rest. This also means that there are all sorts of size and color options for you to look at. 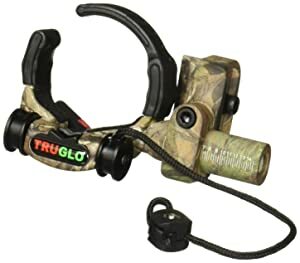 This arrow rest, because of how quiet it is, is the best option for those that are hunting. You will be able to find colors that will blend into the rest of environment so you don’t have to worry about ruining the camouflage of your bow. The best part of this arrow rest is how easy it is to set up. This drop away rest can fit on all sorts of bows. 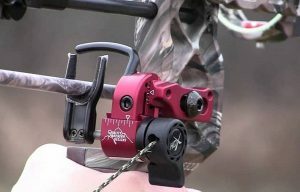 This makes it perfect for those that have heard that there will be issues attaching an arrow rest to their bow. Besides being easy to set up, this arrow rest functions just the way that you need it to. Other the years, they have been improving this rest to try and make it quieter than the previous. The improvements that have been over the years are meant to really make sure that the arrow rest is the best it can be. Drop away rests like this are known for their noise, but improvements have been made in this particular model to reduce the noise that is generated. This model is a little expensive as most drop away rest models are. However, the price is well worth it because of the quality of this drop away rest. For a drop away kind of rest, this is one of the cheapest models that you will find. Even though it is cheaper, this arrow rest will serve you well. The design is especially nice for people that don’t want to spend time going to the shop to get this drop away rest set up. The easy installation comes from the fact that it comes with a clamp that attaches to the string of your bow. This means that you can change this arrow rest out easily if you decide that you need a different one. One of the problems with drop away rests can be that they sometimes don’t agree with faster bows. You’ll possible need to slow down if you want to use this arrow rest on your bow, but that shouldn’t stop you from at least trying it out. 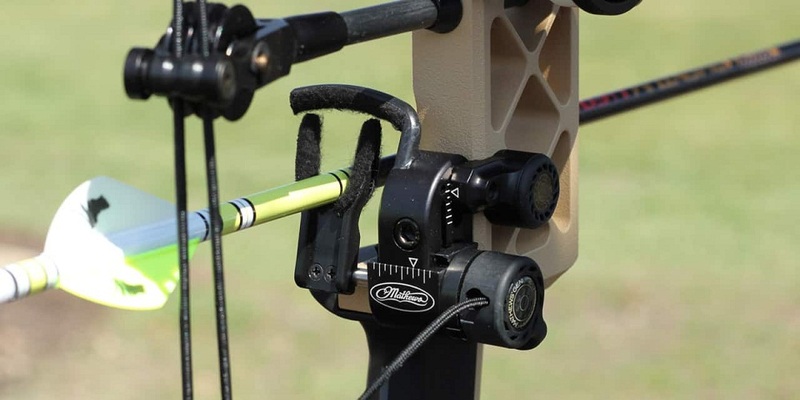 This design is made specifically to prevent your arrow from getting stuck in the workings of the arrow rest. This design is built to survive a lot of wear and tear since your arrow won’t be touching it that much. 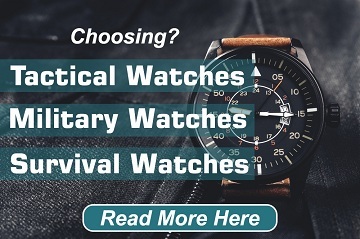 This means that this purchase can last you an extremely long time. This rest is specifically for a recurve bow. Because recurves are designed differently than compound bows, you need to have a specific kind of rest for the arrows. While many recurve bows have a shelf on them that you can use for an arrow rest, you might need something better. 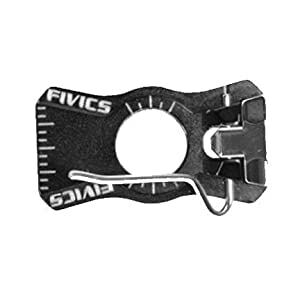 This arrow rests are easy to install and just provide the little bit of support that you need in order to get the most out of your bow. These may seem a little pricey for how small and easy to install they are, but the price reflects the quality of the design and the components that make up this bow rest. You’ll be able to get the most out of your recurve bow with a bow rest like this one. 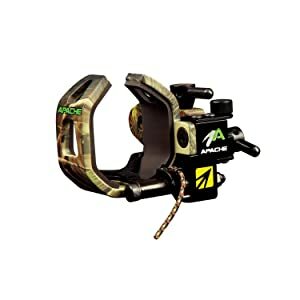 When it comes to finding the best arrow rest, you don’t have to look any further than this arrow rest. It is a drop away rest, which means that you won’t be able to use it with a recurve bow. The design of this arrow rest is meant to really make sure that your arrow isn’t touching anything when you’re firing it. This will ensure that your bow is working the best that it can. This drop away rest is easy to install to make sure that you don’t have to struggle to get it on. Besides being easy to install, this drop away is very quiet. This is extremely surprising based on the price and the type of arrow rest that this is. You’ll love the fact that it’s easy to use and so quiet. This really is the best arrow rest that you will see on our list. Like we said, this one doesn’t work with a recurve bow because it is a drop away rest. However, this rest will serve all of you archers with compound bows fantastically. After looking at all of these arrow rests, I think that I would like (insert arrow rest here) the most. There’s a lot of choices that you will have when it comes to an arrow rest, but this list will show you some of the best arrow rests that are out there. You will need to look at what you need an arrow rest to do before you pick one out. Hopefully, our advice and list will give you a lot to think about.